Kevin Bacon Will Star In a Tremors TV Reboot! Well, chalk this one up on the list of things we never expected to hear today. After trying to make a TV breakthrough over a decade ago on channel formerly known as Sci-Fi, cult classic Tremors is heading to TV once more: but this time, it’ll wield the unstoppable star power of Kevin Bacon himself. Entertainment Weekly broke the news that a TV series was in development at Universal, and that Bacon would both star and produce (he appeared in the first Tremors, but has declined to return as Valentine McKee in either the 2003 TV series or any of the direct-to-video sequels) while The Secret Circle writer Andrew Miller would script. Details are sparse—other than that the show will be set in Perfection, Nevada, the fictional town from the first film—but the series is currently being shopped around for a new home. Considering the past connection, Syfy would probably be an easy fit, but who knows? It’s great to see Tremors getting some modern love though. 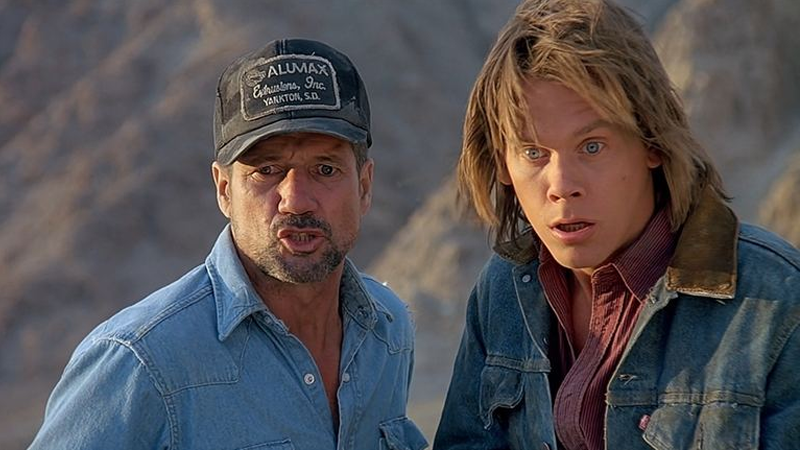 We’ll bring you more on the Tremors reboot as and when we learn more about it.